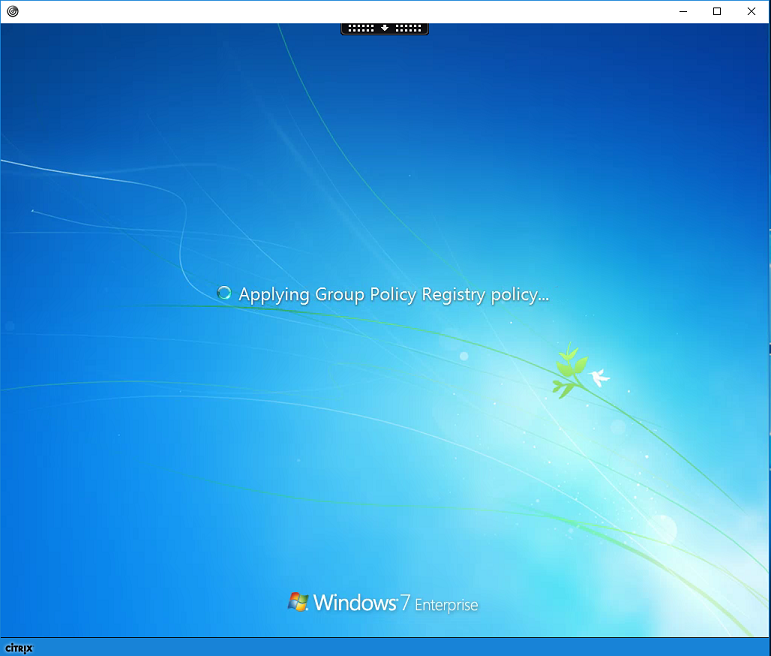 Logging into a new XenDesktop session users randomly appear to be stuck on Microsoft Windows logon screen “Applying Group Policy Registry Policy”. However when adjusting the size from window mode to full screen or Full screen to window mode the screen refreshes and users are already logged in and able to start working. Create a Citrix Policy to Disable Desktop Composition Redirection. Disable Desktop Window Manager Session Manager. Update the VDA version to Feature Pack 3. – Still validating if this is a fix.